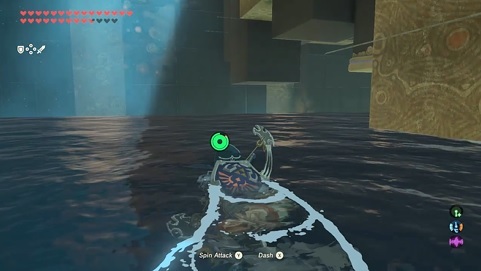 As you know from previous articles on Gaming Reinvented, there are quite a few interesting places you can reach with glitches in Zelda Breath of the Wild. 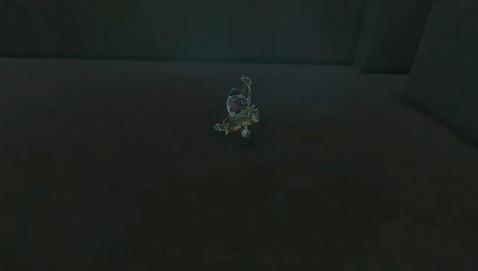 You can go underneath the Yiga Clan Hideout, and skip the whole thing. End up inside the base of Hyrule Castle, or even running around on the final arena’s ceiling. Heck, there’s even a giant void of randomness outside the Trial of the Sword! 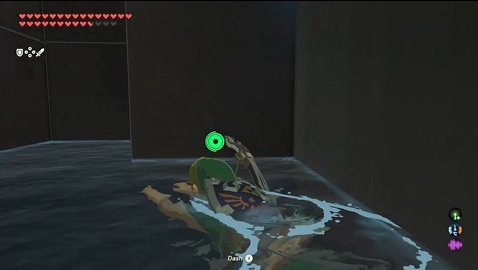 For anyone skilled in bomb clipping glitches (or with a good cheating device handy), Hyrule offers plenty of uncharted territory just ripe for exploring. But with the introduction of the Champion’s Ballad DLC, another very interesting area has opened up to us too. Namely, the ‘secret rooms’ outside of the Ruvo Korbah shrine. 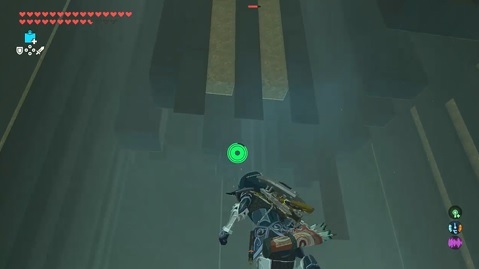 You see, like every other Test of Strength shrine in the game, the Ruvo Korbah shrine contains various rooms and passageways outside of the normal playing area. That’s because like said areas, it’s presumably been built using a generic shrine room as a base, with the actual playing field suspended above it as a development shortcut. 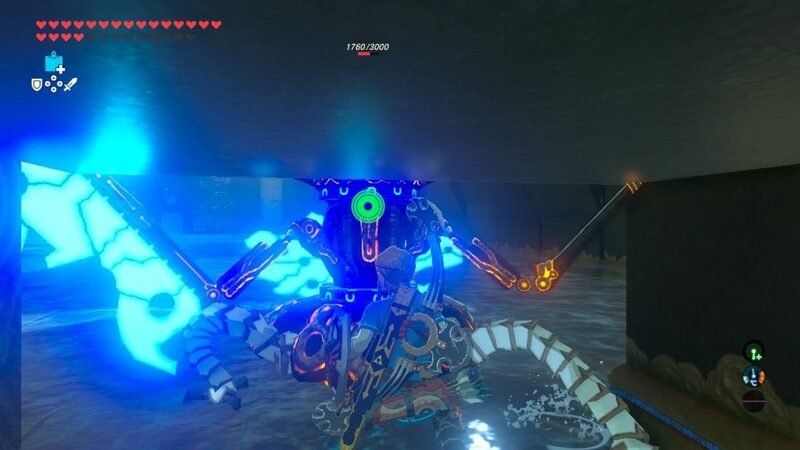 However, because said shrine isn’t a typical Test of Strength (instead being a ‘Major Test of Strength +’ situation), it actually contains even more intriguing secrets than normal. Like for instance, this pool of water found under much of the floor. It’s not an escapable area and it doesn’t really lead you anywhere, but it does seem to be entirely pointless given the structure of the level around it. I mean, this isn’t straight underneath the floor for the ice effect. Nor are there any pools the player should be swimming in anywhere in the level. So, there’s no reason for this pit to exist. Yet somehow it does, and in a structure so convolutely complicated it makes you wonder just what Nintendo was thinking here. After all, right next to that pool of water is another one round the edges of the room. Like with the small one, this has no obvious escape point (or connection to the surface layout), yet it still seems to exist about 50 feet below the surface of the area. Well believe it or not, ANOTHER gigantic room you never usually explore in normal gameplay. This one has something interesting by the back wall though. Namely, an area where Link just drops dead for no apparent reason. What’s more, he doesn’t just fade out and respawn at the entrance either, he respawns straight on this random death barrier and gets stuck in an endless death loop. This means that anyone who goes here literally cannot do anything close the game via the home button, since the cycle gives you no opportunity to even bring up the inventory or map screen. Again, it’s not quite that clear to be honest with you. 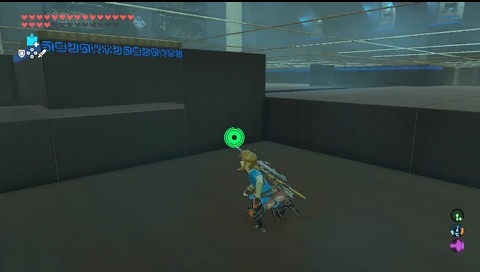 If we had to hazard a guess, we’d say it’s because the room next door is the giant abyss with the four Guardians you fight prior to encountering the Sheikah Monk, and you’re so ‘far down’ by this wall that you somehow trigger the death plane at the bottom of the pit. However, that doesn’t explain why the death barrier would even go this far. Again, Nintendo don’t usually do that sort of stuff in this game. They usually either cut off hazards at their logical point or have them extend the entire way underneath the map. Yet this area doesn’t work like that. It’s just a death plane that somehow extends into one or two unused rooms right next to it for no apparent reason. It’s illogical for the game’s design. Either way, that’s still not all there is to see in this area. Oh no, not only is there a giant room underneath the floor and various waterways just above it, but there’s actually a layer on top of that too. As in, a whole ‘nother floor to explore between the main arena and the stuff underneath it. 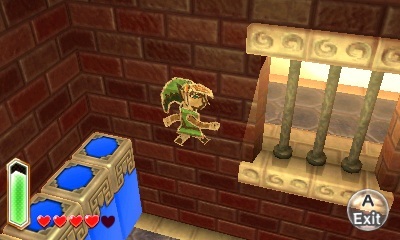 Whereas if you go through any of the gaps, Link suddenly starts swimming again and rises back up to the ‘surface’. It’s rather odd to say the least, especially given how the water isn’t even visible at any point. As well as the possibility of ending up stuck inside the walls themselves. Yeah, forget going through the walls or floor, it’s apparently quite possible to be knocked into them and trapped forever too. Makes for a funny fight when the Guardian Scout desperately attacks a solid wall to no avail. 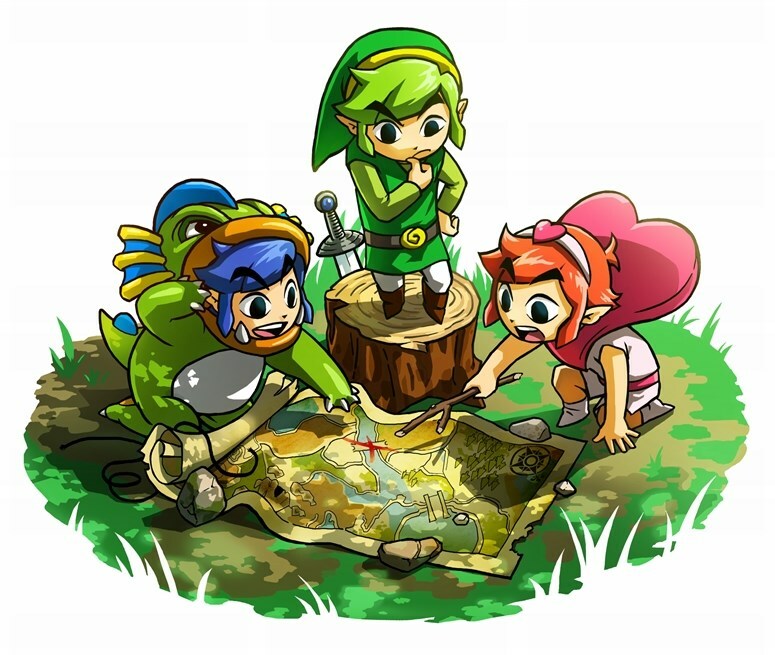 Zelda Informer Surveys Zelda Fans; Interesting Results Found!